Nordic crispbreads, perfect for DIY canapes and dips or as a biscuit for cheese. Contains a minimum 25 crispbread pieces. Water, rye and wheat flours, honey, sourdough, sunflower seeds, linseeds, whole buckwheat, oat groats, salt and yeast. 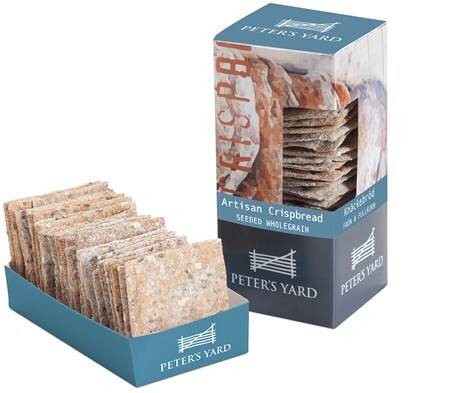 -These crispbreads are perfect for making cold canapés. - Serve a mix of hot and cold canapés: Prepare all the cold ones in advance, our little pots of handmade pate will make at least 30 canapés. - Serving plates make all the difference.